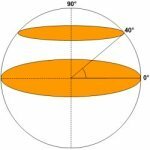 Understanding some basic solar energy facts can help you decide if solar energy is right for you. Here are the solar energy basics you need to get started with solar energy. The first two types of solar energy refer to how it is converted into useful energy. These types are known as Active Solar Energy and Passive Solar Energy. The next three types refer to the type of energy sunlight is converted into. These types are Solar Thermal Energy, Photovoltaic Solar Power, & Concentrated Solar Power. Understanding the different ways you can use solar energy for your home is one of the most important solar energy facts you should know. You can use solar energy to generate electricity for your home with photovoltaic solar cells. You can use solar energy to heat your home, water, and swimming pool. Solar energy can also be used to cool your home. Finally, solar energy can be used to provide lighting for your home. For more information see How is Solar Energy Used? 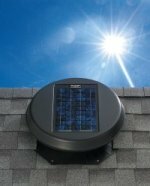 The key components of a solar power system are the solar panels. Using a process known as the photovoltaic effect, solar panels are able to convert sunlight into solar electricity. Solar heating systems are able to convert sunlight into heat using a process known as the greenhouse effect. Solar collectors convert the sunlight they capture into heat. The heat is then ready to be stored or used for heating your home or water. For more information see How Does Solar Energy Work? Most homeowners decide to use solar energy systems for one of the following reasons. For some, they want to have a positive impact on the environment by using a renewable source of energy. For others, it's primarily a way for them to save money on their utilities. And then some are looking for the energy independence that an off-grid solar power system can provide. For more information see Why Use Solar Energy? Solar energy potential is simply the available amount of solar energy for homes in your region. The three aspects that drive your home's solar potential are its latitude, climate, and site-specific factors. Homes located closer to the equator receive more sunlight than homes that are located further away. 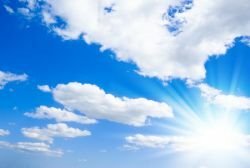 Climate factors such as temperature and cloud cover can impact the amount of sunlight you receive. Site-specific factors such as shading due to buildings and trees will also impact the amount of sunlight your home receives.